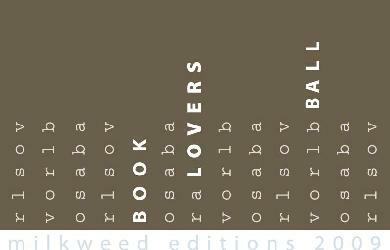 Milkweed Editions is hosting the 10th annual Book Lovers Ball at 6 p.m. on Saturday, October 17th, at the Graves 601 Hotel. This is an annual fundraiser for Milkweed Editions, a local non-profit publisher that’s celebrating its 30th Anniversary this year. Along with a live auction and a silent auction, Milkweed will be presenting both David Rhodes, whose most recent novel, Driftless, has captured the imagination of readers across the country, and acclaimed poet Jim Lenfestey, who will read new, previously unpublished poems from The Chain Letter of the Soul: New and Selected Poems by Bill Holm. You can purchase tickets here. Have fun! I’m tempted to put this on my calendar for next year, I’m all for helping out quality indie presses.